a loose leaf, A5 size Rox File containing a basic set of geological fact cards, with an amazing 90 fact cards to collect for your file. Members receive a full colour magazine three times a year. Each issue is full of fascinating geological articles (many at the “cutting-edge” of the science); activities and puzzles and two fact cards to add to those already in your Rox File. We also encourage letters from our members for inclusion in the magazine. Each issue of the magazine contains a printed Events Booklet, giving details of all our Rockwatch events, plus many others open to Rockwatchers – some free, some discounted to Rockwatch members. Check out the contents of previously published magazines – and even purchase back issues. Members get exclusive invitations to special Rockwatch events in some of the most extraordinary geological spots in the country! Our field trips are fun and hands on, giving members the chance to meet real-life professional geologists and other Rockwatch members, to collect fossils and minerals, and visit working quarries and other places of geological interest around the country. Hard hats and hi-vis vests are nearly always essential! Every year we have a special week long residential field trip to Dorset to explore some of its world famous Jurassic Coastline and a weekend in Wales. We have a Rockstar annual competition for the under 16s and also our Rockwatch Young Writer’s competition for 16-18 years olds. These are supported by the Anglo American Group Foundation which hosts the prize-giving ceremony. Winners receive some fantastic prizes – find out more about the competition. Geology Today Magazine Subscription – Half Price! Geology Today provides an essential read for all Earth Scientists – amateur and professional. Rockwatchers can subscribe to this fascinating read at a special rate due to The Geological Society Whyhaving a share in Geology Today. 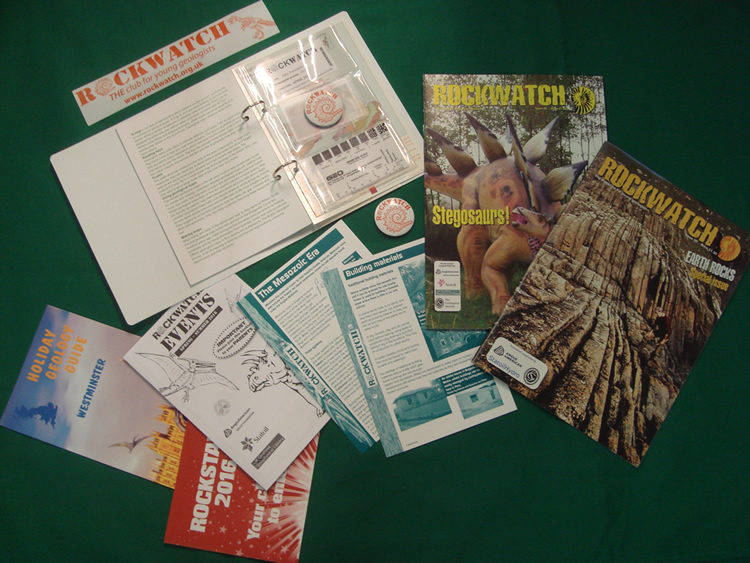 A normal subscription costs £64 for 6 issues a year but Rockwatch members get this for just £33. Why not subscribe today or Download the Geology Today Journal App! It is a great way to learn about Earth's history and go to great events. I get to visit places most people can't visit like quarries. I get to do stuff that I wouldn't be able to do otherwise and collect fossils. It is a really fun thing to be a part of. You learn loads and get to meet lots of different people along the way. Rockwatch is a fantastic organisation and has enthused my children into discovering the world of geology. The field trips that you organise are always great and finding fossils is the highlight for the children and the grown ups! I've been a member for many years now and have loved every moment. Thank you so much for the interesting trips and dedicated people. The Dorset residential has to be the highlight!